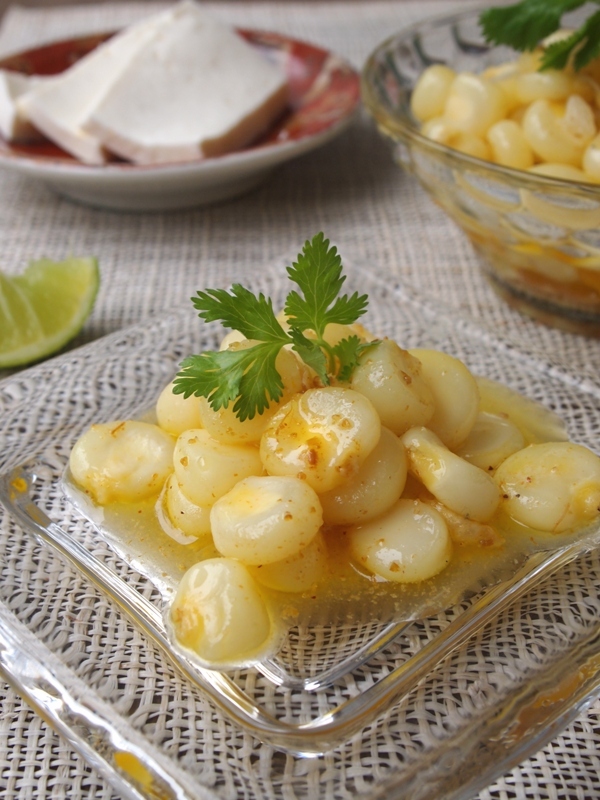 If you have a craving for Peruvian corn, or haven’t tried it yet and would like an easy way to make it, this popular “piqueo” (hors d’oeuvre) recipe, is a good place to start. 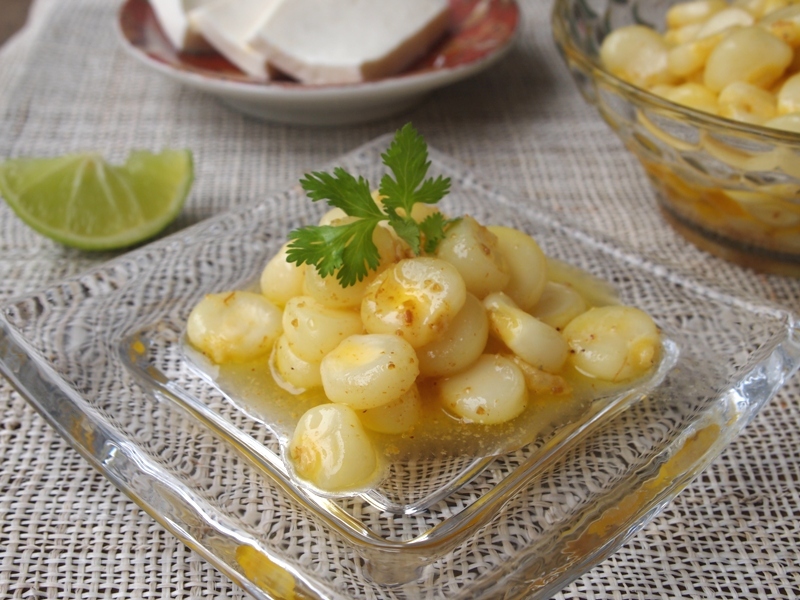 Made with boiled corn kernels, butter, cumin, and a squeeze of lime juice, choclito al comino also goes well with a number of dishes as a delicious side. 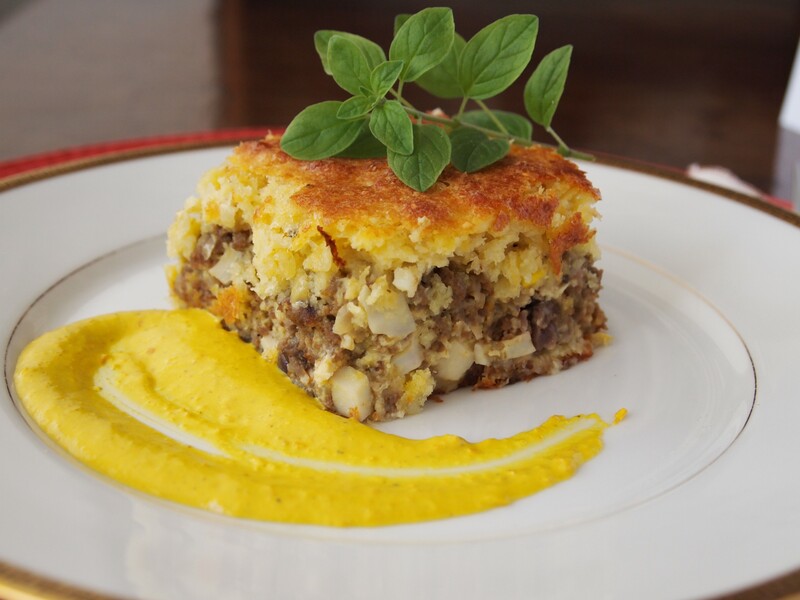 Like many items in our gastronomy, this dish has three different names: choclo Jose Antonio, for the restaurant that made it famous; choclo al comino, literally “cumin corn”; and choclo al Pacayal. Ok, this third name is not used by many people. I just happen to call it that way because the first time I had this dish was in a restaurant called El Pacayal. I didn’t make the name up however, that’s how they called it in their menu. Every time we ate there, the owner greeted us with a bowl of steamy and aromatic corn seasoned with cumin and butter. This is another easy and tasty dish that hardly needs a recipe at all. You can make it with any fresh corn kernels, but if you find Peruvian giant corn, all the better. 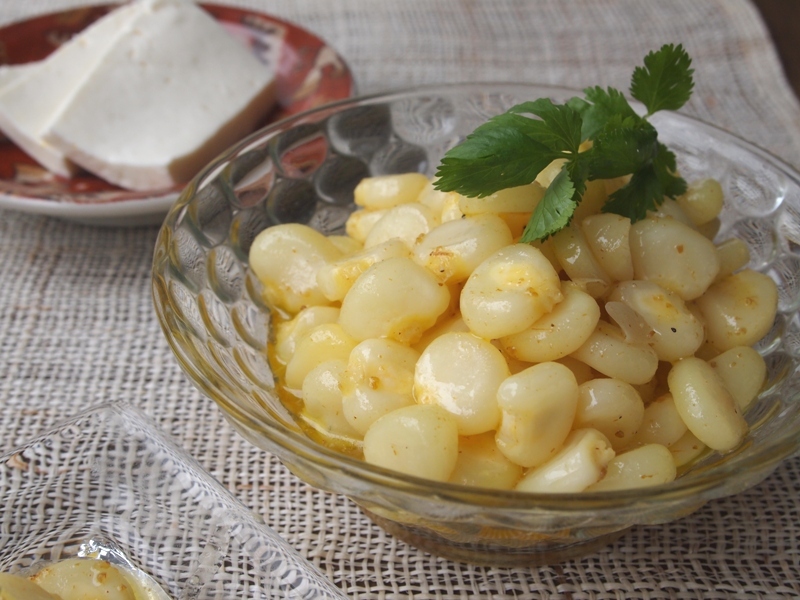 And just for fun, and because I like cheese so much, I love to serve some slices of queso fresco next to this juicy corn preparation. What about you? Boil the corn with the sugar in a saucepan with water. 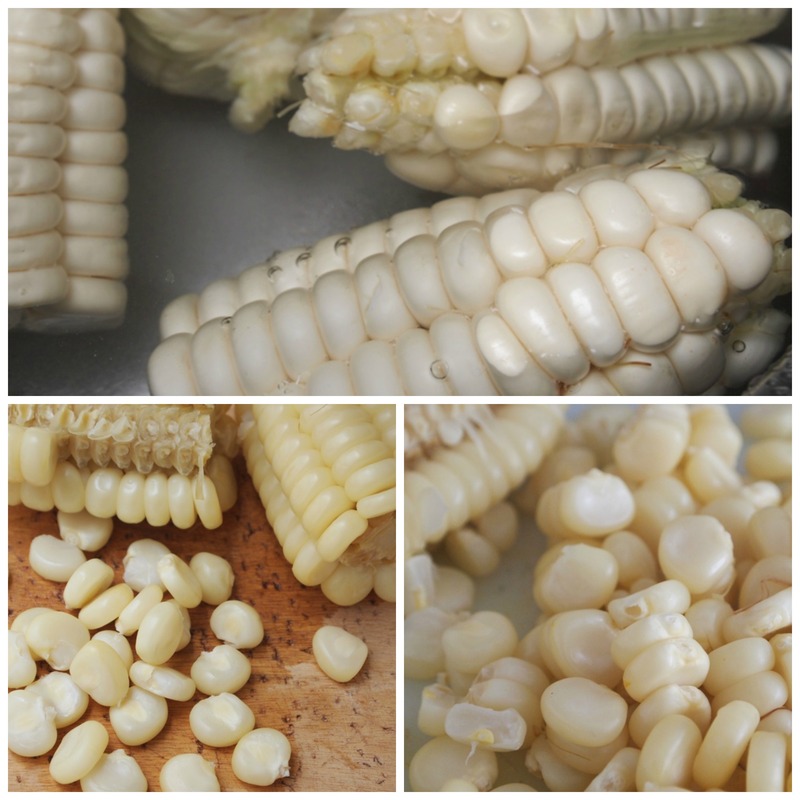 Transfer to a plate when cooked, and cut off the kernels. 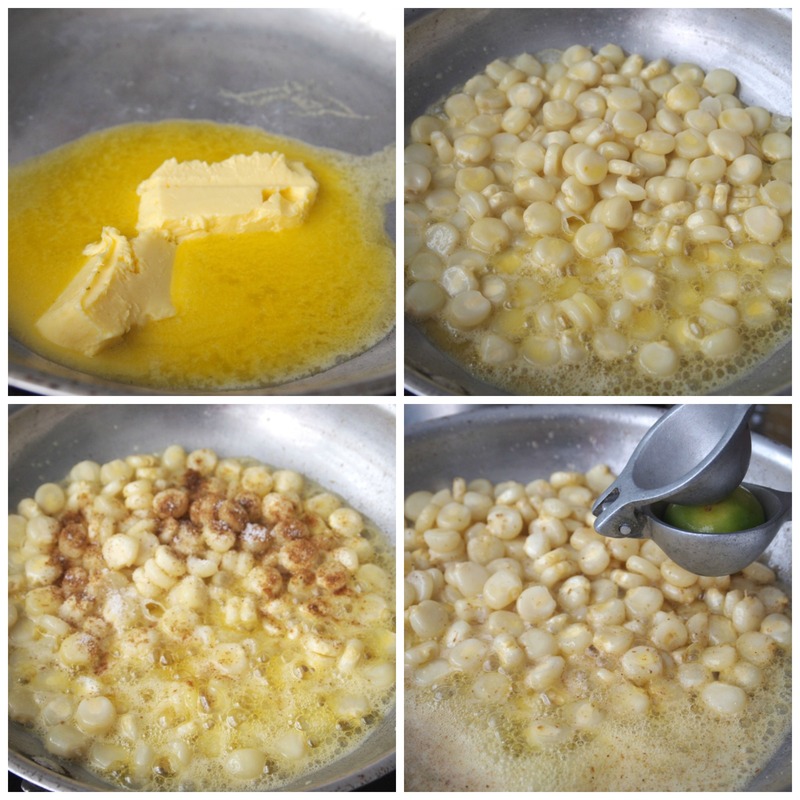 Melt the butter in a skillet over medium hear, add the corn kernels, ground cumin, salt and pepper, and stir for a couple of minutes until heated through. Squeeze the lime over the corn and serve immediately. Glad you liked it Jake.